in the dusty, amber mud. Wow! 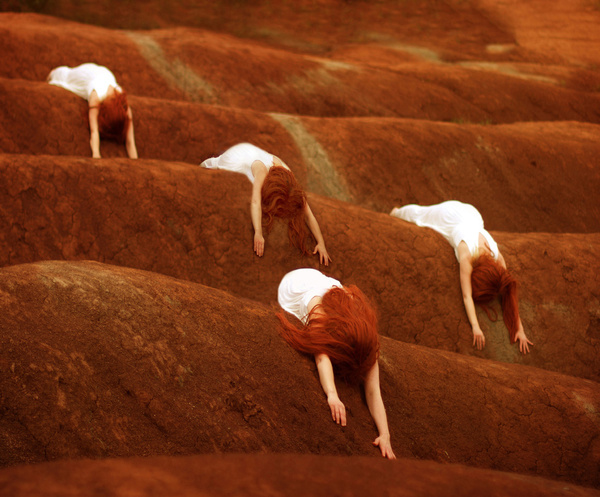 Red hills and redheads, prostrate to a higher power. She always uses redheads in her work. She makes them seem otherworldly, I think. Thanks for commenting.